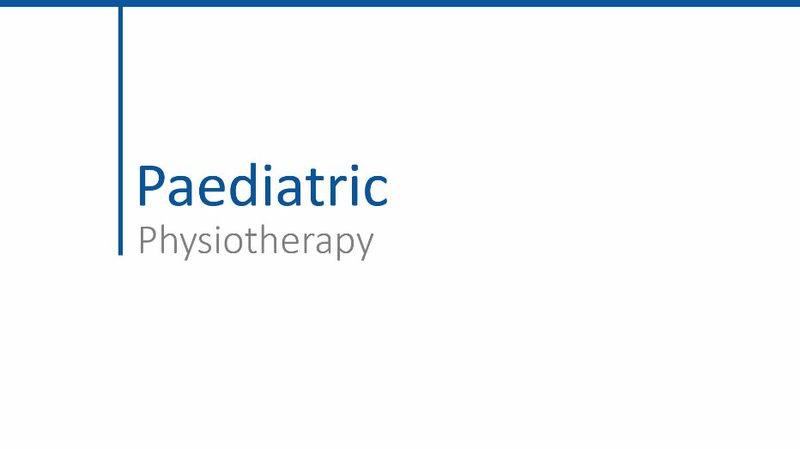 Paediatric physiotherapy is the assessment and treatment of babies and children with neurological conditions. At Liverpool Neuro Physio our experienced neurological physiotherapists will provide specialised treatment for children between 0 and 18 years old. Our paediatric physiotherapists treat children with a wide range of neurological and developmental problems. Neurological conditions can include problems with the brain, spinal cord or peripheral nerves. This can have an effect on a child?? ?s physical function including mobility, muscle strength, range of movement and balance. Our specialised neurological physiotherapists specialise in treating these conditions. Children may also have problems reaching their developmental milestones by the expected age. Developmental milestones are tasks or abilities that most children achieve or learn within a certain age range such as head control, rolling, crawling, walking and talking. Our physiotherapist also specialise in treating these conditions. Treatment can be carried out at our clinic or at the child's home, depending on the child's needs and your preference. Physiotherapy should commence as soon as possible for the child to reach their full potential as quickly as possible. We can start treatment at short notice as we have no waiting list and we work closely with occupational therapists who can provide additional treatment and equipment if necessary.